I'm excited to announce that Pro Se Press has published my novella, 'Night of the Bloodthirsty Ghouls', as volume 2 in their 'Ninth Circle' series. From the blurb: "Nurse Nancy Harrigan's Mercy Center is under attack by unknown forces while a virus is turning the denizens of the Ninth Circle into bloodthirsty rage monsters. 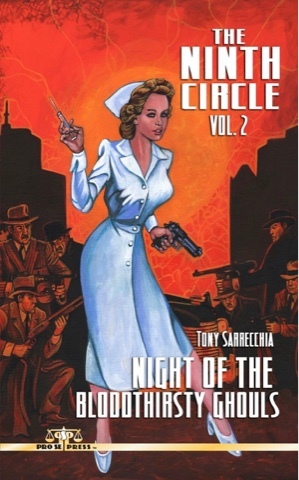 With Detective Stoddard and the other mobsters closing in has Nancy finally met her match? "